@PieEatinGooner @retrowarrior316 @jayxiii lol you need to get the Emoji app then! And then you can do this haha! 10 Oct 11 copy & paste +upvote -downvote @PieEatinGooner @retrowarrior316 @jayxiii lol you need to get the Emoji app then! And then you can do this  haha! @JayXIII @pieeatingooner @retrowarrior316 haha I'm gonna start tweeting in just Emoji ha..
Ready in time just for Pan Am!!! 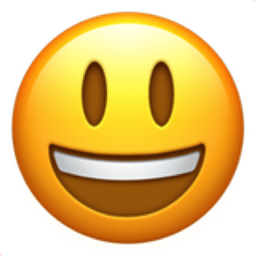 Like Smiling Face with Open Mouth Chronological Emojitweets 13?